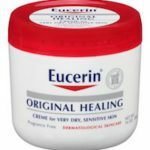 Beiersdorf, makers of Aquaphor® and Eucerin®, continue to offer a program for families in the United States who use large amounts of these products. The company will send a free case of the product, as long as specific instructions are followed. 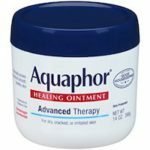 ✴ The member/patient must first contact customer service at: 800.227.4703 to establish an account with Aquaphor, prior to the physician faxing a request. ✴ Once an account is established, a doctor’s letter (on doctor’s letterhead), with patient/member contact information, diagnosis and treatment must be faxed to 800.645.1391. ✴Finally, the request must be renewed every three months. According to Alexandra S (Ringwood, NJ), Beiersdorf has a Canadian division with a slightly different program. In Canada you have to show ‘just cause” for need of product and affordability and, if you qualify, you are in. Qualification requires excessive use of the product and income eligibility. Check with your dermatologist. Founded in 1973, Beiersdorf Inc. is based in Wilton, CT and one of more than 150 international affiliates of the cosmetics company Beiersdorf AG which is based in Hamburg, Germany. In addition to Aquaphor and Eucerin, they market NIVEA brand products. we focus clearly on the needs of our consumers. Next PostNext What are the opportunities to Meet & Greet?